1. Add or Save Employee localhost:8080/save with FORM data. 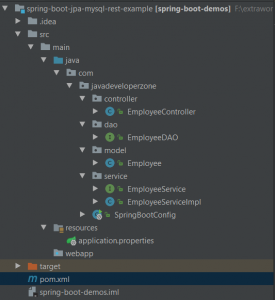 This article contains spring boot restful web services with JPA example. We have used MySQL as a database in this example. Spring boot is the first choice to develop Rest Service with JSON. 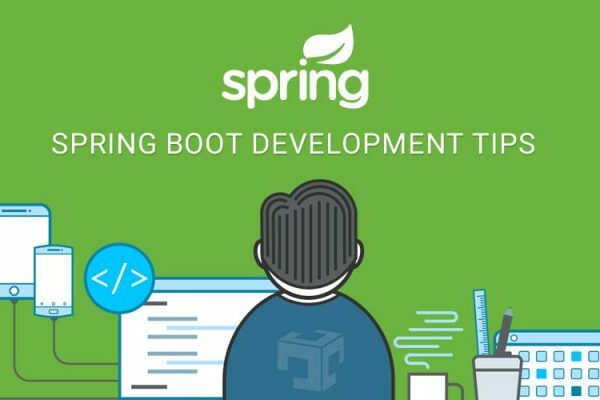 Spring boot makes fast development using easy configuration with minimum requirements. Nowadays Rest API development is very popular because of microservice architecture application development. We have explained this example with different layers like Controller, Service, and Data Access Object layers which are best practice to write API or web application. 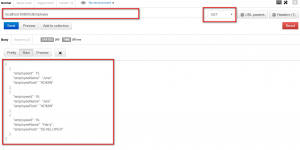 This example contains Rest Web service CRUD operation with JPA MySQL database. An example is a consist of Controllers which will handle all HTTP request, Service layer will help us to write business logic and DAO or Repository which will communicate with the database and persistence of data. In this example, we have used MySQL as a database. spring-boot-starter-data-jpa used for spring boot JPA support. mysql-connector-java used for the MySQL connection, we may replace any other database connection drivers to change any other database like Postgres, Oracle or any other JPA supported database. spring.datasource. * is data source related properties. spring.jpa. * is JPA related properties. @RestController will generate a response in JSON format. @RestController is a combination of @Controller + @ResponseBody. @RequestMapping will handle the specific request, value contains URL path, a method can be GET, POST, DELETE or any other method will is supported by HTTP. While return List<Employee> or only Employee object then spring boot automatically convert to JSON Array and JSON respectively so we do not worry about to convert objects to JSON which will be managed by spring boot. Here is the only signature of EmployeService so at time of Autowire spring boot will create Reference to Interface and Object of it’s implementation. * Created by Lenovo on 04-04-2018. Here is actually an implementation of EmployeeService interface, We are just performing CRUD operation so we do not have too much logic for business but we need to write actually business logic over here. * Created by Java Developer Zone on 03-08-2017.